Cleaning is an essential part of being an adult, which is not necessarily a fun part. But sometimes, the process itself takes a lot less energy than the preparation to it. One can become frustrated even from a simple thought of cleaning the carpet or cleaning grease off oven and so on. Now, imagine the fear of cleaning the whole apartment. What if there are simple things you could do to make this nightmare less energy-consuming and even a bit pleasant? 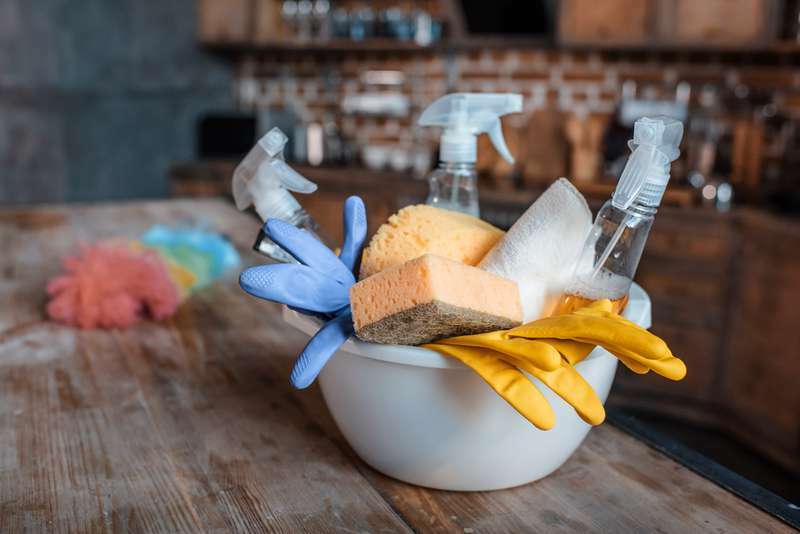 The best advice for proper preparation is to gather everything you may need for your cleaning in one place. For example, put rags, towels, sponges, gloves, cream, and all other necessary things into a bucket, which you can carry and move around the apartment without wasting your time. 2. Dealing with grease and fat. Sometimes, it is quite hard to cope with grease and fat, even when using the most expensive cleansers and detergents. Try using ammonia! Simply rub the surface, leave for few minutes, and then rinse with warm water. Don’t forget to air out the room! If your leather chairs or the sofa are pretty scratched, you can save the fashionable looks by using a simple cream for shoes. Rub it into the surface and let the furniture dry. There are few ways to restore the furniture, but if you only want to mask the issue, shoe cream is the best solution. As for wooden products, you might be surprised, but those scuffs on your table can be masked with the help of walnut. Simply rub the damaged place with the walnut’s flesh, and your furniture will restore its fresh look. Usually, everybody uses a separate sponge for such purposes. But there’s a much easier way. Simply use your toilet paper. Just wipe the bowl after it is cleaned with chemicals. Don’t forget to wear gloves, though. Wipe and throw away – easy! 6) Shine bright like a diamond! Chrome surfaces always look catchy if they are clean. Make them shine again with the help of baby oil! For that, use a sponge or some cotton cloth and thoroughly wipe the surface. You can remove patina from shower head easily. Pour the vinegar into a little bag, and then use a rubber band to put it on the shower head so that it is fully immersed in the liquid. After an hour, just rinse with warm water. You can clean a lot more with vinegar! 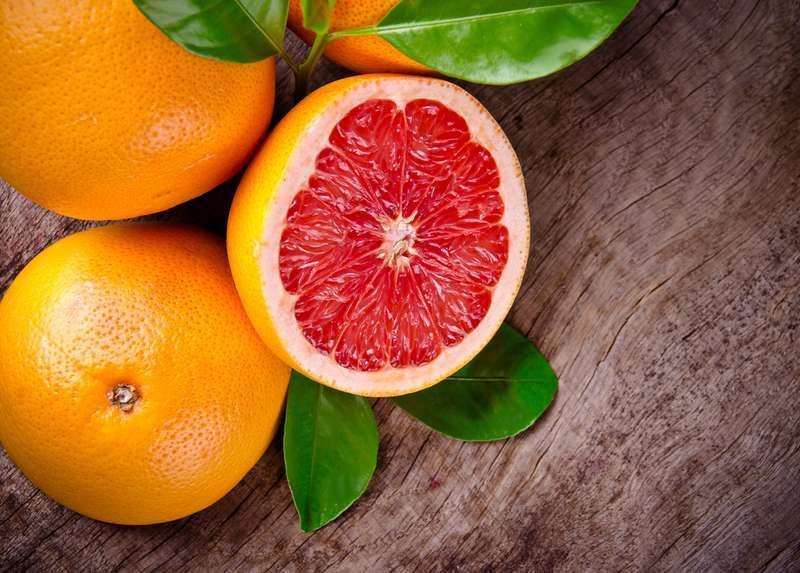 8) Grapefruit for a bath cleaning. Cut the fruit into two parts. You’ll be using one of those as a sponge. Sprinkle the fruit with salt and start cleaning your bath. In a few minutes, it will become not only clean and shiny but also smell delicious. “Where are my socks?” “Where are my headphones?” and many more questions can vanish if you use simple sorting boxes and clothespin bags. Just sort everything out! 10) Try using a toothbrush! Are you annoyed of the dirt in the corners, or between tiles or other hard-to-reach places? Just use a separate toothbrush to clean it all. Dip the toothbrush into a cleanser, and you are ready to go! The process of cleaning can become easy and bring joy if you learn how to organize it properly. There are many simple advice and tips! Now you know these 10. Try using them!